Thank you to Annie’s Homegrown for sponsoring today’s post and inspiring me to try their delicious products! Eating healthy is hard when you first get started. It can seem overwhelming trying to make such dramatic changes to your diet, when you are accustomed to eating whatever you like. In the beginning, it may seem like the only way to ensure you’re eating things that are good for your body is by subjecting yourself to eating health food that is flavorless and not all that appetizing. That’s the common misconception. Eating healthy does NOT mean eating food that doesn’t taste good. In fact, there are plenty of foods that are appealing to both your health regimen and your taste buds. Annie’s certified organic products are the perfect example. One of the awesome things about Annie’s certified organic products is that you don’t have to go out of your way to get them. They are available right at your local grocery store, at an affordable price! Annie’s offers so many different products in different varieties, it’s easy to find something that’s perfect for you. You can choose snacks that you and your family can eat as is, or, you can choose to put your own little spin on things! Baked Cheddar Crusted Chicken Fingers are one of my children’s favorite recipes. Rather than using the same old recipe, I decided to make things more exciting by adding Annie’s Cheddar Bunnies to the mix! I simply crush those cute little bunnies right up in a Ziploc bag, and use them as the breading! Not only do the chicken fingers come out tasting delicious, the orange coloring of Annie’s Cheddar Bunnies also gives the chicken fingers a beautiful orange coloring to their crust! Want to eat better and live more responsibly, without sacrificing taste? Getting started is simple! Head over to the Annie’s Homegrown website, where you’ll find tons of recipe ideas and information about Annie’s! 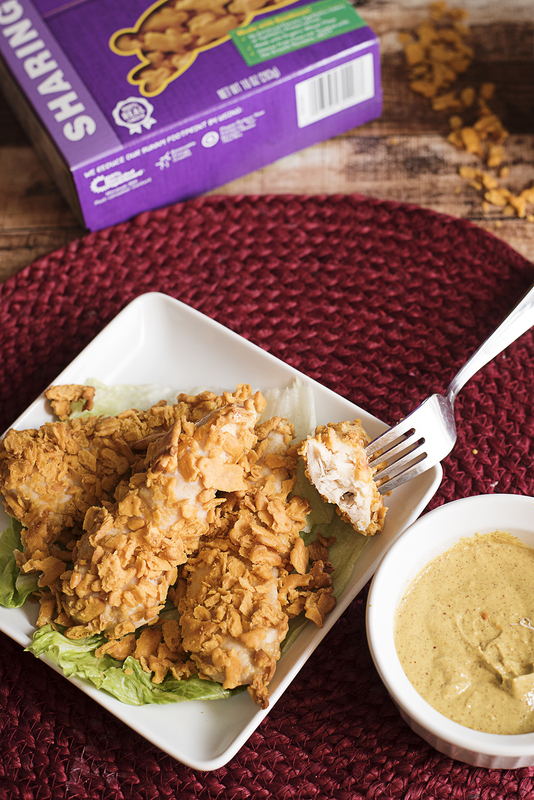 Choose a recipe you like, and start incorporating Annie’s into your family’s meals today! Crush Annie’s Cheddar Crackers in a Ziploc bag by rolling over bag with a rolling pin. Slice chicken breasts into strips. Place flour in a shallow bowl and season to taste with pepper and garlic salt. 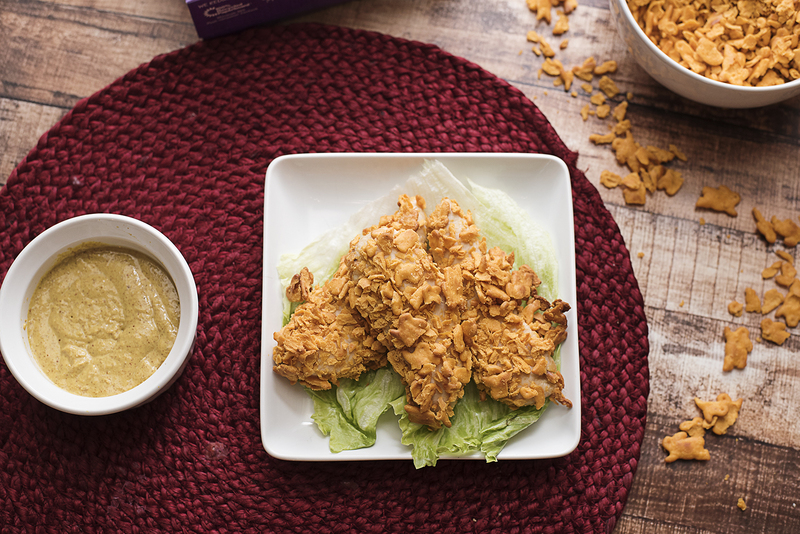 Coat chicken strips in flour mixture, dip in evaporated milk, and coat in cracker crumbs.